Mojo » Mojo Asks Students: What do you think about the new turkey sandwich at Bcaf? Mojo Asks Students: What do you think about the new turkey sandwich at Bcaf? Last week Bcaf opened back up for the year, debuting an extended menu featuring 19 sandwiches including pastrami, cuban ham, and roasted vegetable and hummus. Missing from this new menu, however, is the classic Bcaf turkey sandwich. This “old turkey sandwich” has been replaced by a new turkey sandwich, and people aren’t happy. 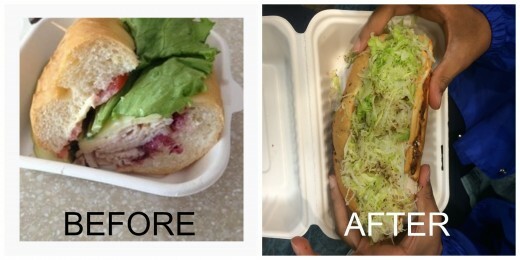 So unhappy, in fact, that Roasted Turkey Lovers Anonymous have created a petition on change.org to bring the old turkey sandwich back to Bcaf. So far this petition is 370 supporters strong, and clearly, people want the old turkey sandwich back at Bcaf. Do you miss the old turkey sandwich? Tell us in the comments or tweet us @dbmojo and sign the petition here.